On October 10th, Hurricane Michael made landfall somewhere near Mexico Beach, Florida. While, as Floridians, we are no strangers to tropical storms, Michael was different in the sense that it was the first category four hurricane to hit the panhandle. As public adjusters, we here at Supreme Loss Consultants, understand the damages that tropical storms can leave in their wake. When it comes to hurricanes and other tropical storms, damages are not isolated to the area, or path, that the storm has directly affected. Instead, they also leave a wake of damages that is widespread — encompassing whole regions, and entire states. Residents from all over Florida have experienced varying damages, as some people lost their entire homes or businesses, and others saw significant damages, but if there is one thing that many Florida property owners have in common, it is that they are struggling to get the money that they need to restore or rebuild their homes or businesses from their insurance claims. At Supreme Loss Consultants we have made it our profession as public adjusters to help policyholders navigate property damage claim processes, and negotiate with insurance companies to ensure that our clients receive the money that they deserve to get their lives back on track. What Tropical Storm Damages Do We Work With? A natural disaster can mean a lot of things, ranging from severe storms to intense rain and hail to lightning strikes and flooding. The dangerous thing about hurricanes is that they usually involve over half of the natural disasters that we just listed. Because of the intensity of natural disasters like hurricanes, there are almost always damages that are caused to properties that have been in the path of the storm. If you have returned home to your property since Hurricane Michael has passed through, you likely know the extent of damages that natural disasters can cause. To take a step in the direction of repairing your property, contact your local Florida claims adjuster and ask to speak with one of our public adjusters. Another common damage that our team of residential and commercial claims adjusters tends to see in the wake of a hurricane like Hurricane Michael is wind damage. While that might seem like an obvious damage that homes experience when they have been impacted by 155 miles per hour sustained winds, we are speaking of homes that were not necessarily in the direct path of the hurricane, but instead experienced severe wind and rainstorms on the outskirts of the path. A hurricane like Hurricane Michael can impact homes and businesses far away from where the storm hit landfall. In fact, some damages were seen as far as central Georgia and eastern Florida from the wind. 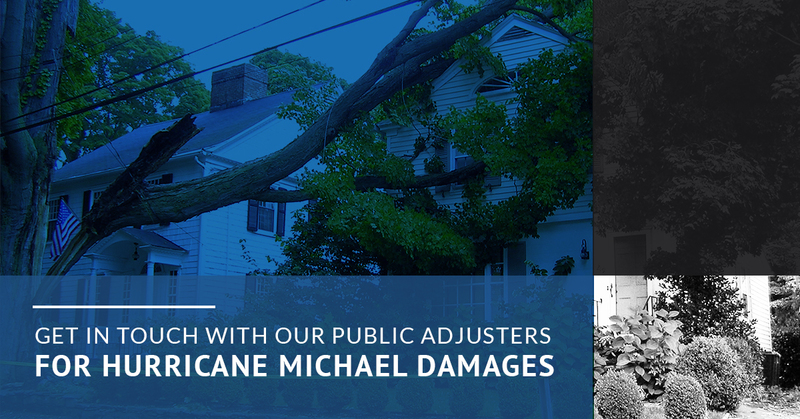 If your home or business has sustained damages from heavy wind, we urge you to get in touch with one of our experienced and knowledgeable public adjusters. When people think of water damages caused by hurricanes, they typically picture heavy coastal swells that cause localized flooding. While yes, if you own a coastal property this is a possibility, it is also possible for your home or business to sustain water damage if it is miles inland. Water damages can be caused in a few different ways. Flooding, being one of the most common causes, can occur in both coastal areas and inland as a result of heavy rain brought on by the storm. Additionally, water damages can be caused as a result of structural damages. If your roof is breached by a falling tree, the damages can allow for water to enter your property, causing long-term damages. Mold damage is one of the most common damages that can be caused by severe storms like Hurricane Michael — yet, it is still one of the least discussed. After a hurricane tears through your home or business, it will more often than not leave your home exposed to the outdoor elements. With the amount of rainfall and flooding that severe tropical storms create, water, or humidity, is likely to enter your home or business, allowing for the cultivation of mold. Mold can be incredibly dangerous to breathe and is costly to remediate — making it important that your claim is honored by your insurance company. Let our team of public adjusters help you negotiate with your insurance provider so that you can rest easy knowing that we can help. The last thing that people expect when returning to their home or business after a tropical storm is to see fire damage. Fires can be caused by tropical storms like Hurricane Michael quite easily, as shorting circuits, lightning strikes, and other spark-producing damages can cause localized fires. Now, if you make a claim to your insurance provider for fire damage as a result of a hurricane, they might be skeptical to honor your claim. To ensure that your claim is honored, be sure to contact Supreme Loss Consultants, your local Florida independent claims adjusters. My Insurance Denied My Claim! What Do I Do Now? All too often we are contacted by property owners that have had their claim denied by their insurance company. If your insurance provider denies your property damage claim for damages sustained from Hurricane Michael, it is imperative that you get in touch with a member of our public adjuster team here at Supreme Loss Consultants. Our experienced public adjusters will come to your home or business, assess the damages that have been sustained, and negotiate with your insurance provider to get you the settlement that you deserve — after all, you need that money so that you can get your life back to normal again. 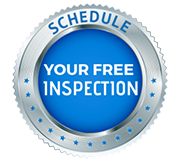 Let our team help ensure that your storm damage claim is paid in full! Let Us Get Started On Your Hurricane Damage Claim Today!